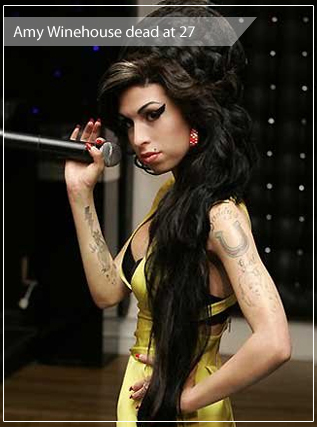 Amy Winehouse Dead at the age of 27! 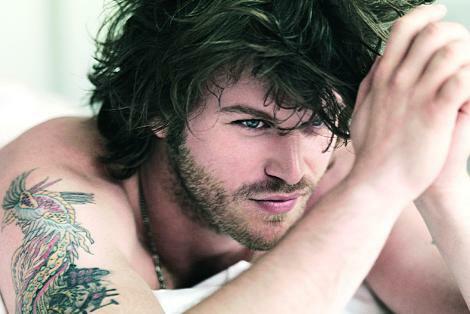 About Kivanc Tatlitug; the current Turkish supermodel! Kivanc Tatlitug started a modeling career that soon made him the world male best model of the year 2002. Since then he started a career in TV and fashion modeling. The 28 years old handsom actor is best known for his character as Mehmet in the Soap Operah "Gumus" which is a love story between a rich spoiled handsome man and a suburb normal lady played by the turkish actress Songul Oden. 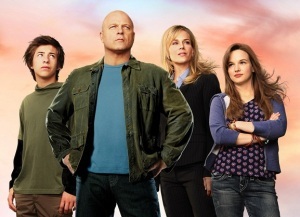 The TV series was translated into various language but made a notable success among Arabs when broadcasted in the Middle East back in 2008. Check the full photogallery with latest pictures and wallpapers of Kivanc here. Kivanc doubled his fame with another "romantic" series called "Ask-i Memnu" three years later. Recently, Kivanc was offered thousands of dollars for TV-ads modelling for products like of beauty and soft beverages. Complete photo gallery of Vicky Roberts from "The Event"
On July 24th, 2010: Taylor Cole attends the EW and SyFy party at Hotel Solamar in San Diego California. On December 9th, 20 Taylor Cole arrives to The InStyles Miss Golden Globe 2011 event in West Hollywood. 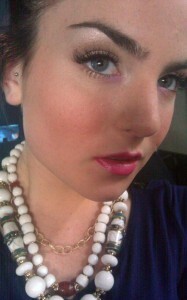 JoJo and what she's been up to..
Know More About JoJo by visiting her page!! Mila Kunis "photo gallery" Updated! 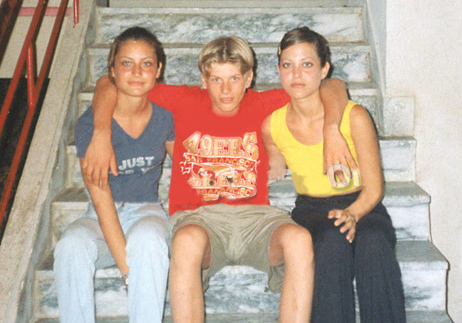 New and exclusive "dated" pictures have been added to Mila Kunis' own photo gallery page. Check them out at her own dedicated page. Print your poster or set your desktop wallpaper to "The Big Bang Theory"
Check the latest pictures added for Rajesh, Sheldon, Howard, Leonard, and Penny.. The whole album is full of your favorite series photoshoots, posters, stills, and wallpapers..
Cobie Smulders' Photo Album is now up-to-date! Robin Scherbatsky on TV show "How I Met Your Mother". ** On May 15th, 2008 : Cobie Smulders attends the Climb Against The Odds Benefit event. ..................................... Until today!! 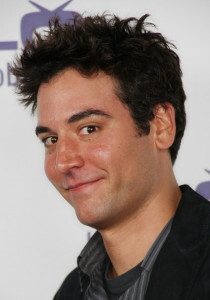 So check the complete photo gallery of Josh Radnor who plays the character of Tedd Mosby from "How I met Your Mother"..
Want to know more about Kim? We started her own 2011 Gallery exactly like last years of 2010 and 2009. Below is a sample of current added photos and pictures of Kim's whereabout for the year 2011 so far.. Enjoy! ** On February 27th, 2011: Kim Kardashian attends the 19th Annual Elton John AIDS Foundation Oscars Party. Kim & Xtina are friends now? Well well well.. It seems that Kim Kardashian has also charmed famous singer Christina Aguilera. Within the past couple of days, the girls were spotted together at various events "including the release of Christina's new album "Bionic" as well as Simone Harouche's bachelorette party". Also don't forget to check the most recent pictures of Kim and Xtina at the pool side of the Fontainebleau Hotel resort. *** On January 31st, 2010 : Justin Bieber arrives at the 52nd Annual GRAMMY Awards held at Staples Center in Los Angeles, California. *** On March 27th, 2010 : Justin Bieber arrives at Nickelodeons 23rd Annual Kids Choice Awards held at UCLAs Pauley Pavilion in Los Angeles, California. *** On April 5th, 2010 : Justin Bieber performs during the Easter Egg Roll on the South Lawn of the White House in Washington. *** On April 18th, 2010 : Justin Bieber on the CTV's Red Carpet at the 2010 Juno Awards at the Mile One Centre in Saint John's, Canada. Now more about Justin Bieber..
Kourtney Kardashian spotted at the Jet nightclub in the Mirage Resort and Casino on February 20th 2010 in Las Vegas wearing the same dress of her sister's Kim when she was at the Launch of her perfume on February 17th 2010 at Sephora in Los Angeles. And as we get the idea of sisterhood, we'd just like to note that being a celebrity comes with a few consequences, just like "Not Borrowing your Sisters' Dress" when each and every person saw her wearing days ago!! Beyonce Knowles spotted promoting her new perfume "Heat" twice this week, in Union Square on February 2nd, and then at Macy's in New York City on February 3rd. Kim Kardashian also had her new fragrance launched perfectly. The reality show star spotted promoting her new perfume "Sephora" on February 4th 2010 at Sephora in Miami Beach, Florida. And while both ladies arrived on the red carpet wearing red dresses, you get to choose which scent suits you best.. Sephora or Heat! On January 19th, Jesus Luz (who seems to be a very busy guy lately) spotted arriving to the Bienal building accompanied by more than ten bodyguards where he went directly to a backstage dressing room which was exclusively reserved for him. So far, Jesus participated in three runway shows during the Sao Paulo Fashion Week, including "Colcci", "Gisele Bundchen", and "Ellus". Jesus, who arrived to Sao Paulo on January 18th, 2010 and stayed at the luxurious hotel "Fasano", got the special catwalk privilege of opening and closing the Ellus show with his double appearance "first wearing a leather jacket, and later in a blue t-shirt". During the show, photographers were allowed to get inside the dressing room "but not reporters" as Jesus was in no mood for interviews. Photos of him dressing and having the final touches of makeup artists can be seen here. But his visit to Brazil held more than just "modeling". Jesus decided to do some charity work as well. 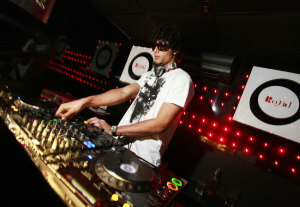 Being a DJ, Jesus held a disco party at club Royal on January 20th 2010, to raise funds for the Haiti victims. His manager, Ibrahim Peterson, told the press that Jesus was greatly moved by the sight of earthquake destruction and therefore decided to help. Oh Ava.. How cute is that? 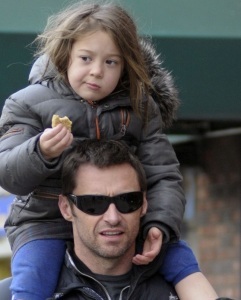 Hugh Jackman spotted with cute Ava "who was busy eating her biscuit"
after picking her up from school on January 26th 2010 in New York City. Click for more pictures of Jackman and Ava..
Heidi Klum; Me and My Wax BFF..
on January 25th 2010 in Berlin, Germany. Auditorium yesterday on January 23rd 2010 in Los Angeles, California. 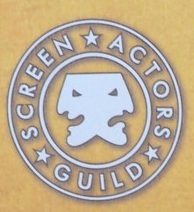 Penelope Cruz, Tina Fey, Dianna Agron, Adam Lambert, Alec Baldwen, Gabourey Sidibe, Mariah Carey, Christina Applegate, Sandra Bullock, Jennifer Carpenter, Quentin Tarantino, Julie Benz, Marion Cotillard, Jenna Fischer, Brittany Curran, Meryl Streep, Cheryl Hines, Tony Shalhoub, Mischa Barton, Cuba Gooding Jr, Diane Kruger, Justin Timberlake, Jane Krakowski, Drew Barrymore, Sophia Loren, Helen Mirren, Anna Kendrick, and Nicole Kidman, Kate Hudson. Jeff Bridges won the Outstanding Performance by a Male Actor in a Leading Role Award. Sandra Bullock won the Outstanding Performance by a Female Actor in a Leading Role Award. Mo'Nique won the Outstanding Performance by a Female Actor in a Supporting Role Award for her character in "Precious". Michael C. Hall won the Outstanding Performance by a Male Actor in a Drama Series Award for his character in "Dexter". Alec Baldwin won the Outstanding Performance by a Male Actor in a Comedy Series Award for his chatacter "30 ROCK". Drew Barrymore won the Outstanding Performance by a Female Actor in a Television Movie Award. Gabourey Sidibe who was nominated for the Outstanding Performance by a Female Actor in a Leading Role Award for her character in "Precious". George Clooney who was nominated for the Outstanding Performance by a Male Actor in a Leading Role Award. Penélope Cruz who was nominated for the Outstanding Performance by a Female Actor in a Supporting Role Award. Hugh Laurie who were nominated for the Outstanding Performance by a Male Actor in a Drama Series Award for his character in "House". January 20th, 2010.. What are you Doin'? JoJo and her extra chique blue hand purse were spotted by photographers as she was walking around New York City. Jennifer Lopez looked perfect as she walked on the red carpet of a special book launch at Club Provocateur at the Hotel Gansevoort. Alison Carroll was spotted with her Guinness World Records 2010 Gamers Edition ceritifcate in London, England.